Open-wheel racing legend Steve Kinser will receive a key to the city from Stockton Mayor Anthony Silva at 11:30 a.m. Thursday at Weber Point Events Center at 221 North Center Street in Stockton. The ceremony is open to the public and was moved from its originally scheduled spot at City Hall. Kinser, 59, will be in town to compete in the World of Outlaws event on Saturday at the Stockton 99 Dirt Track at the San Joaquin County Fairgrounds. 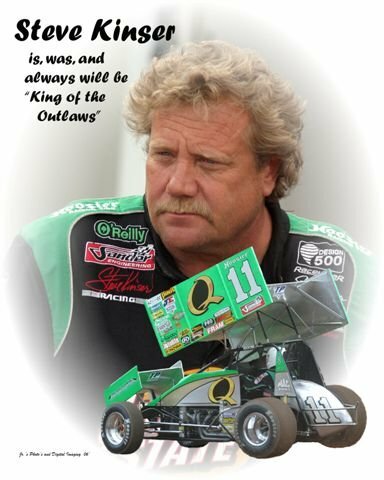 Kinser is a 20-time Outlaw Sprint Car Series champion, has 576 career wins, and has announced this will be his final full season on the Outlaws circuit. In 2008, ESPN named Kinser one of the top 25 professional drivers of all time. The race weekend begins at 7 p.m. Friday with a program headlined by the Winged 360 Sprint Cars and BCRA Midgets. The Outlaws event begins at 7 p.m. Saturday.